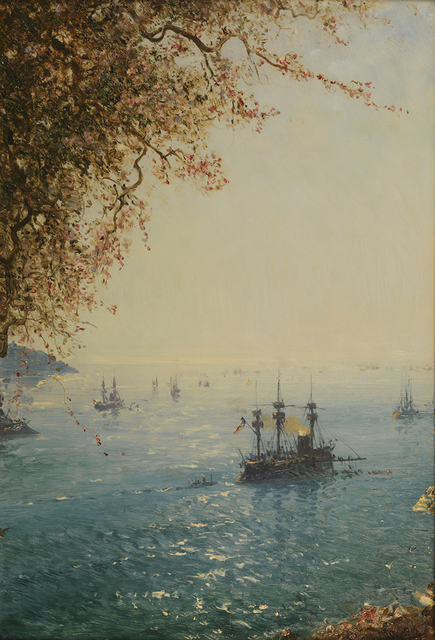 Pera Museum’s Félix Ziem: Wanderer on the Sea of Light exhibition presents the works of one most original landscape painters of the 19th century: Félix Ziem. 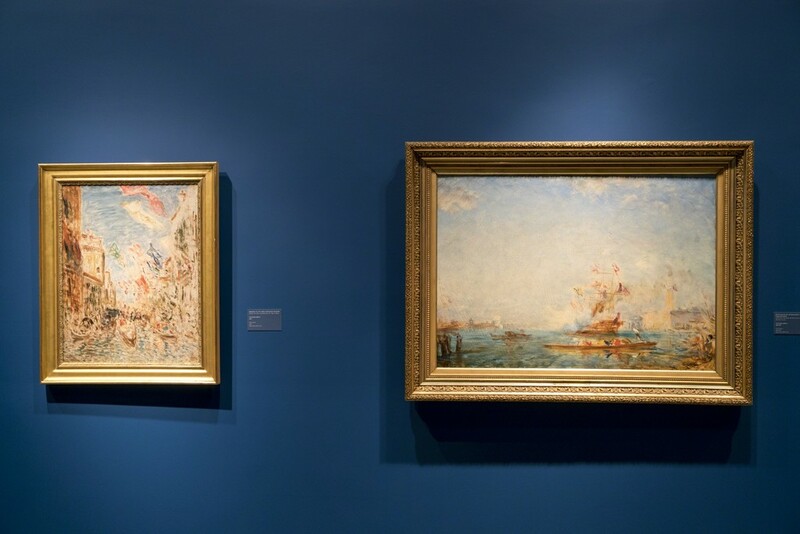 The exhibition focuses on Ziem as an artist who left his mark on 19th century painting and who is mostly known for his paintings of Istanbul and Venice, where the city and the sea are intertwined. The exhibition organized in collaboration with Musée Ziem in Martigues, is curated by Lucienne Del’Furia and Frédéric Hitzel. Félix Ziem’s oil paintings stand out with their lively colors and the artist’s effort to capture the flickering effects of the continuously changing light by using a rapid and dynamic brush style. 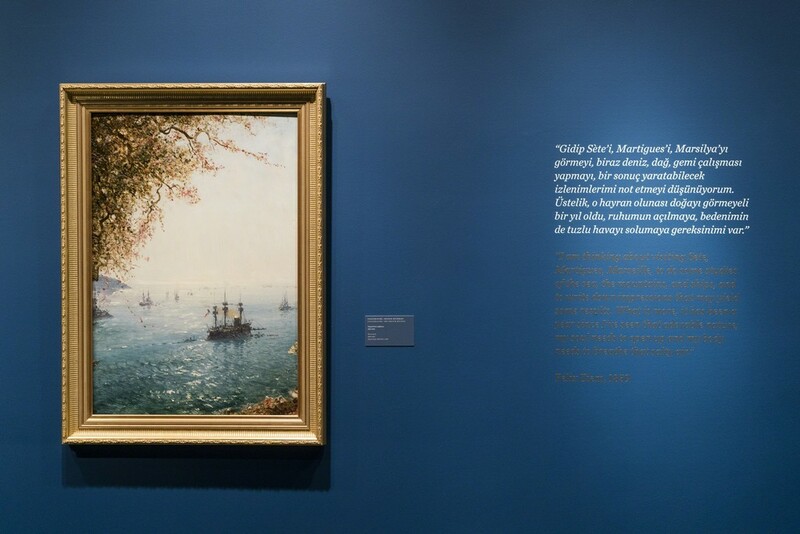 The exhibition illustrates the reasons why the artist was hailed as a forerunner of impressionism and as a pre-impressionist; his stylistic relationship with artists like Monet is quite visible. His drawings exemplify his creative process and present new angles into his work. They also encourage us to rediscover the city of Istanbul through his perspective. 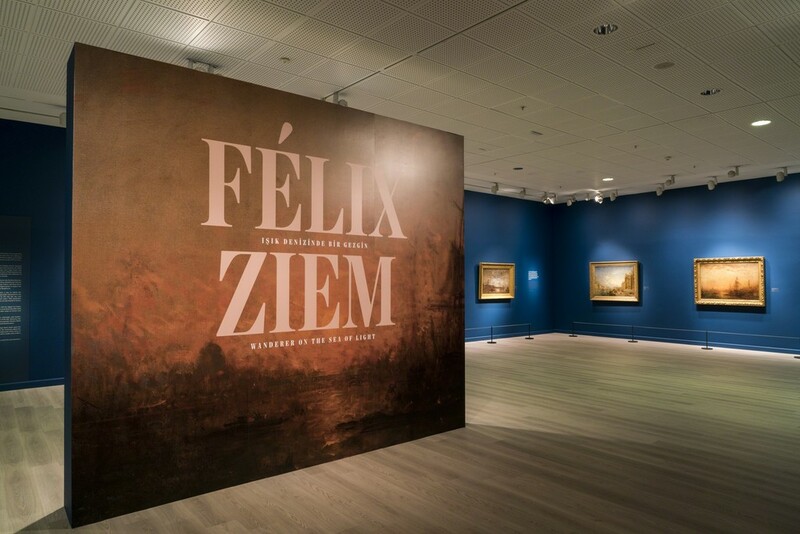 Ziem is accepted as one of the well-known artists of the romantic landscape painting, and has been followed closely by art lovers and collectors of all periods since. He had a profound influence on generations of artists after him, and was the first artist whose works were acquired by the Louvre while he was still alive. Ziem stayed in Istanbul until September 18th, whereupon he left for Egypt via Izmir, Rhodes, and Beirut. He was in Alexandria on October 8, 1856. 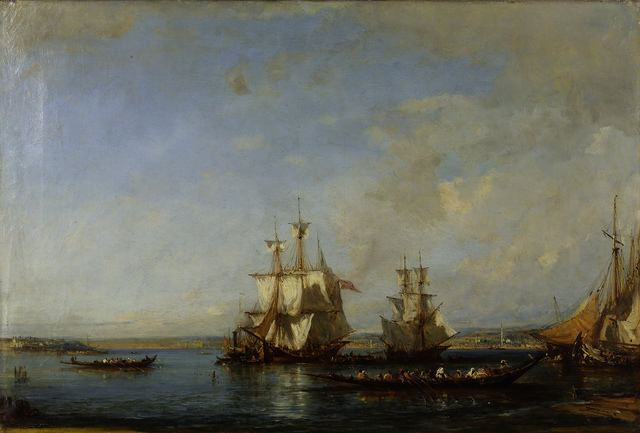 He went down the Nile until Thebes, visited Aswan and Philae before returning to France after stops in Greece and Sicily. 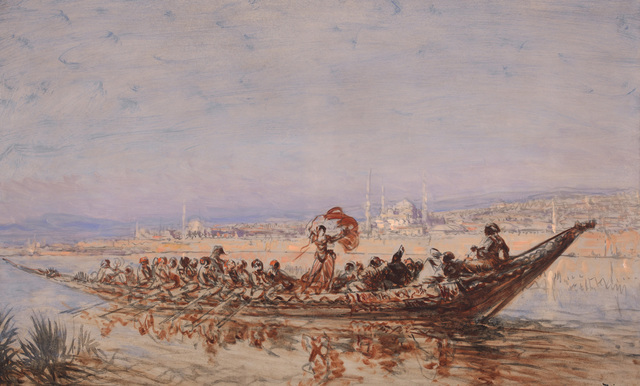 Directly inspired by this journey to the East, the first paintings Ziem made upon his return to Paris were displayed at the Salons of 1857 and 1859. 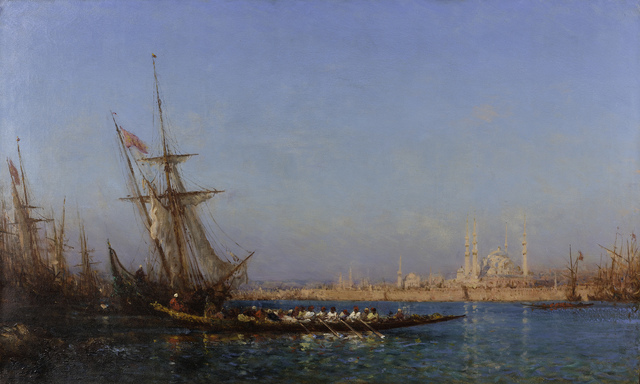 He tirelessly added the silhouettes of minarets and domes in various shapes in the background of his views of Istanbul. The city was thus reinvented as a pretext for big blue skies, bright with endless atmospheric variations and fantasy scenes. Ziem’s only journey to Istanbul nurtured his Orientalist dreams until 1911 and catered to the “Oriental obsession” that infatuated Europe. 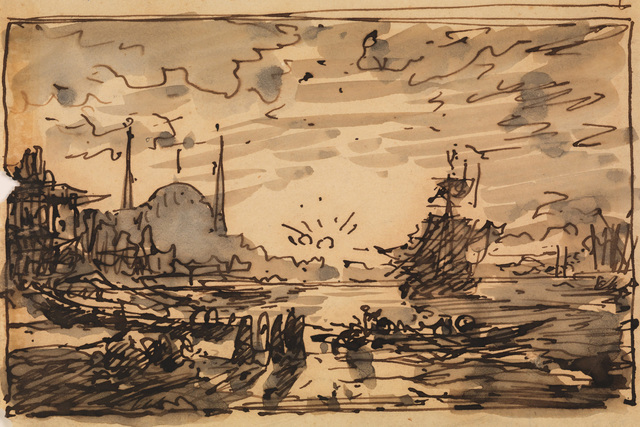 During this long journey, Ziem produced countless sketches, drawings, and studies, creating a visual memory he would be able to use for the rest of his life. However, the Orient he portrayed on his canvases was not the “real” Orient, but a pseudo-Orient, which disregarded realism and replaced it with the exaltation of light and timelessness. As part of the exhibition, the curator of the show, Frédéric Hitzel will be holding a tour on 12th November, Saturday, at 11:00 am. 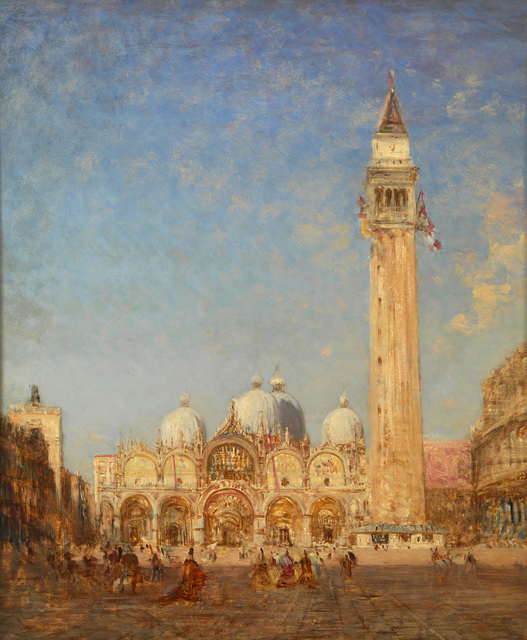 The tour will offer a unique insight to the works of the exhibition. The exhibition Félix Ziem: Wanderer on the Sea of Light is on view at the Pera Museum, Istanbul, Turkey between 10 November 2016 - 29 January 2017. Pera Museum can be visited Tuesdays through Saturdays from 10:00 to 19:00 and on Sundays between 12:00 – 18:00. Friday are longer and free at the Museum! On “Long Fridays,” Pera Museum is open and free of admissions between 18:00 - 22:00. Wednesdays it’s “Young Wednesday”! 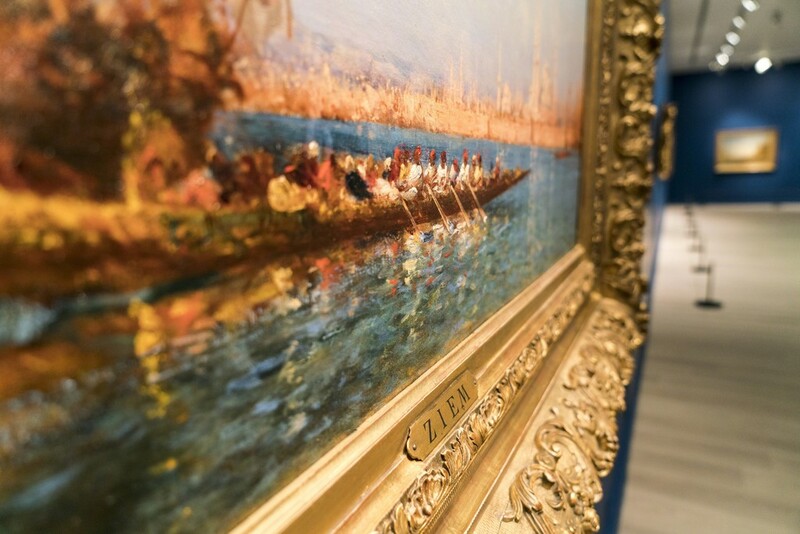 Pera Museum is free of admissions for all students on Wednesdays.